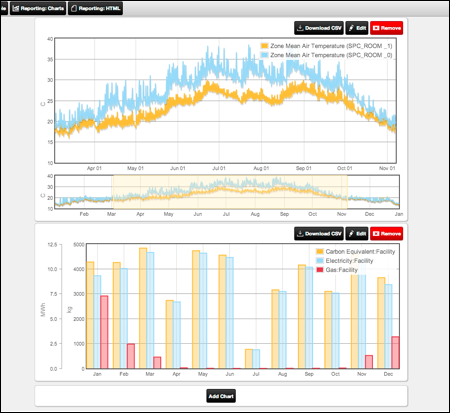 Our software provides a user interface for the EnergyPlus simulation engine. 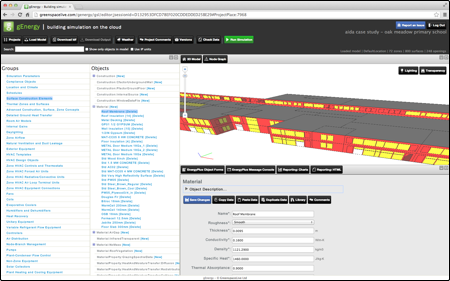 gModeller facilitates easy entry of building geometry and fabric constructions using Sketchup and gEnergy allows the full scope of EnergyPlus objects to be edited. Also, Big Ladder Software provide training on EnergyPlus and have some very good reference material on their website that is easier to navigate. The 21st century office is changing. Already you might have people working from home, from another office or even from another country! But a 21st century office needs a 21st century solution; Online collaboration. gEnergy supports collaboration and remote working by allowing users to share projects with others, and comment at project and object levels. This means that users can discuss the project at a higher level, for example to discuss requirements, work left to do, project management, etc., and at the same time discuss specific objects in detail. This opens up many possibilities for collaboration. 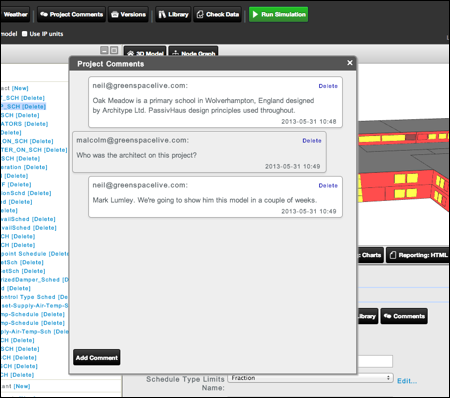 For example, if there is a question regarding an HVAC component, users can discuss the object at its own level, without cluttering overall project discussions. Similarly, a project manager can review the object model, comment on objects of concern, and collaborate with the modelling team to ensure the quality of the model is as high as possible. EnergyPlus models can be large and complex, composed of many different objects. gEnergy is no exception! However, we’ve found over time that many objects share common attributes. For example, many surfaces may share the same constructions. Going through each of these surfaces to add the same attributes is a tedious task, in some cases, watching paint dry may end up be more entertaining! 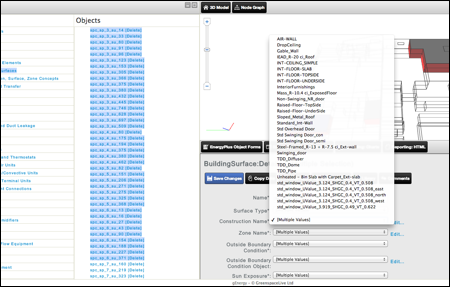 gEnergy allows you to select and edit multiple objects at the same time, so that setting the properties of groups of objects becomes as simple as pressing the ctrl, or shift key, selecting the objects in question and changing the appropriate parameters. A massive productivity boost! With most energy simulation, you’ll produce a large amount of simulation data, but what does it mean? Without seeing your data in a meaningful way, does it actually mean anything? With gEnergy, data can be charted and viewed the way that you want to using gEnergy’s customisable dashboard based charting. gEnergy’s dashboard based reporting allows the adding and removing of custom charts, edit existing charts, select hourly, monthly, and annual result parameters. Mix and match reports to meet your needs. All simulation results can be exported and downloaded from gEnergy for further analysis in downstream tools, e.g.Microsoft Excel as well as presented from gEnergy’s web interface, which is accessible anywhere. 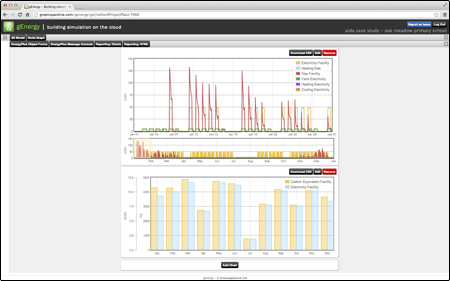 gEnergy’s customizable reporting interface is clean and easy to use.